How well do you really know yourself? You probably know your middle name. Your shoe size. Your home address. But what about your favorite ice cream? Oh, sure. Everybody says that. But did you know YOU’RE A LIAR?! Yeah, you, with your face and your neck, just standing there lying to yourself and everyone around you. 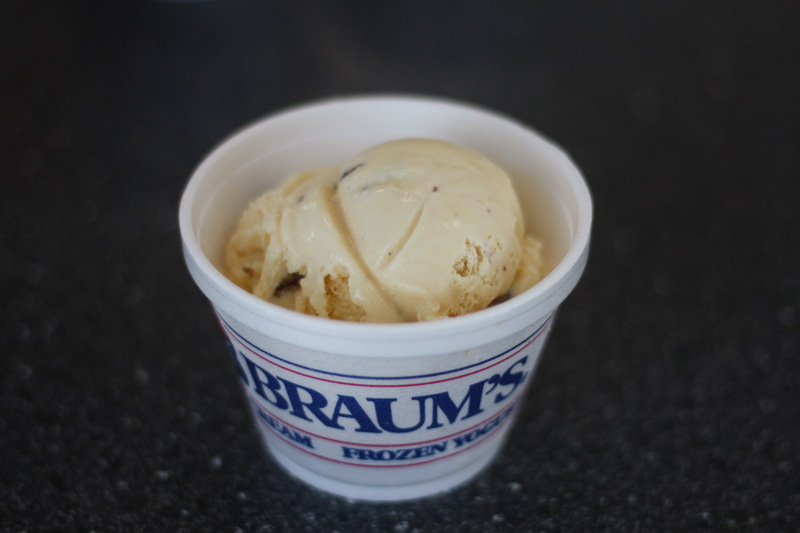 Because you only think you know your favorite flavor of ice cream. We’re all just pretending to know, because when’s the last time you tried every single flavor and ranked them, from the bottom to the top? Well, that’s just what my friend Michelle “Ms. New” Bui and I did at our local Braum’s Ice Cream and Dairy store. Let’s take some questions from the audience. Excellent question. No. 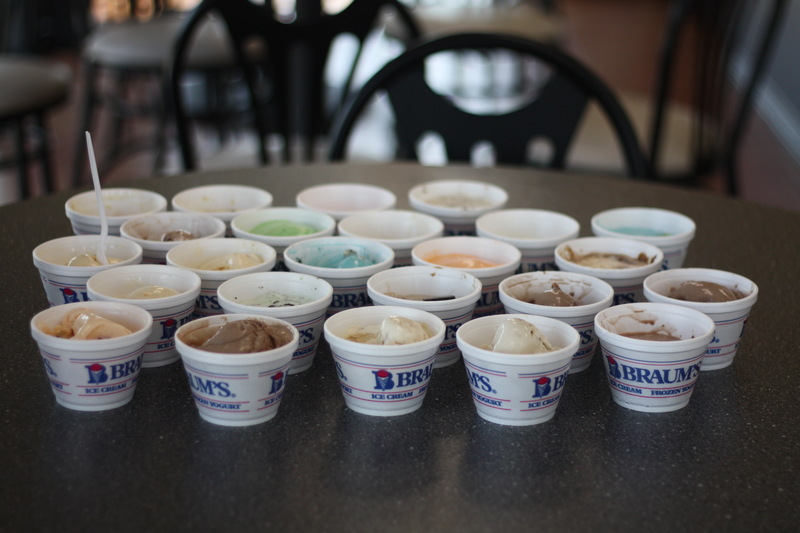 This is an exhaustive list of every one of the 24 flavors of ice cream in the dipping case ever offered by Braum’s at 134th and S. May Avenue on Sept. 17, 2018. They don’t have every flavor all the time, so we tasted what we could get. Another great, great question. I wouldn’t even begin to know how to measure that stuff. We just lined them up and ate them and then decided which ones were better. I’m not even sure who you are, dude. Michelle is an old friend of mine. We saved each other’s lives in the Franco-Prussian War. Also, her schedule lets her go eat ice cream at 2 p.m. on a weekday sometimes. 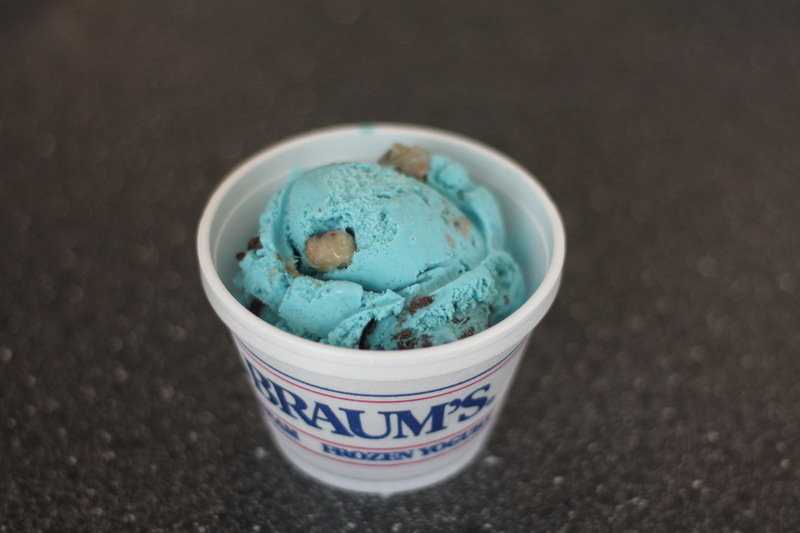 This dyed-blue ice cream includes two kinds of cookies — the Oreo-esque chocolate cookies of Cookies and Cream and the cookie dough of Chocolate Chip Cookie Dough. 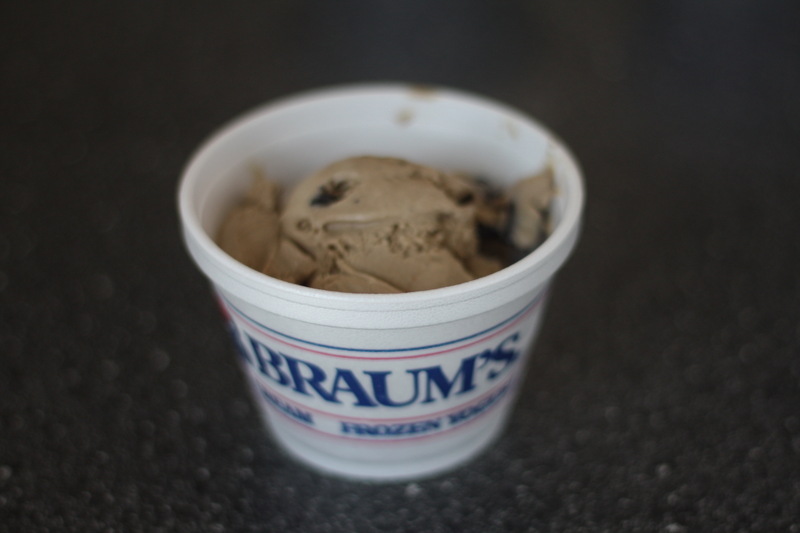 But all that cookie goodness left the rest of the ice cream kind of flavorless. At least until we returned for another bite and found it tasted a little bit like Play-Doh. I love chocolate peanut clusters, but this sugar-free fro-yo sapped all the fun out of them in this grainy, Splenda-infused product. One plus for me was the hit of salt that balanced the sweet, but the rest of the flavors refused to gel. Bui, a barista at Elemental Coffee, immediately called out the “fake” coffee flavor and I concurred. The chocolate chunks were powerless against the tide of intense, chemical coffee taste that infused every bite. I love cherry ice cream. I love pecan ice cream. 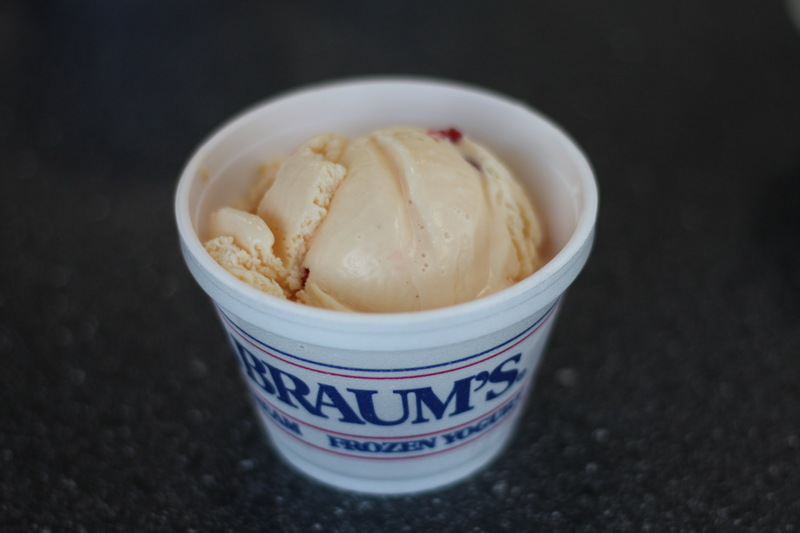 But Cherry Pecan lacked enough of either to adequately live up to the name. 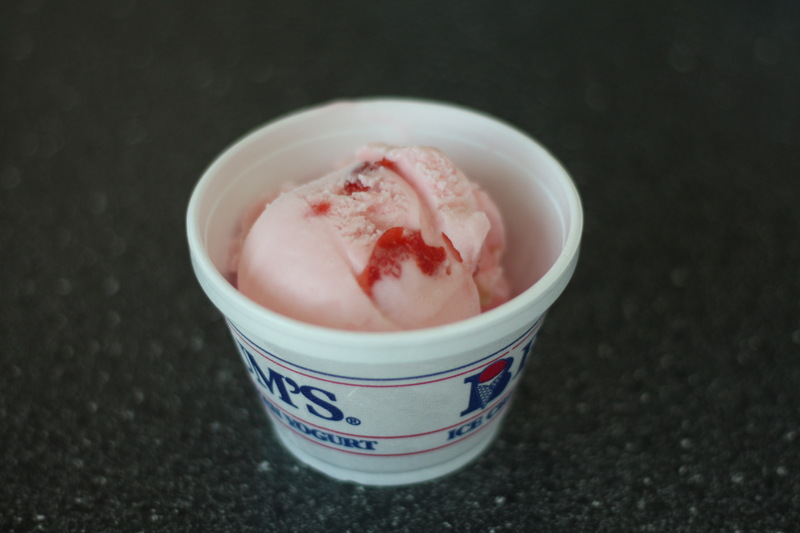 If you didn’t have a piece of cherry in your bite, you wouldn’t know there was any cherry flavor here at all. Actually, even if you had a piece of cherry it was kind of hard to tell. 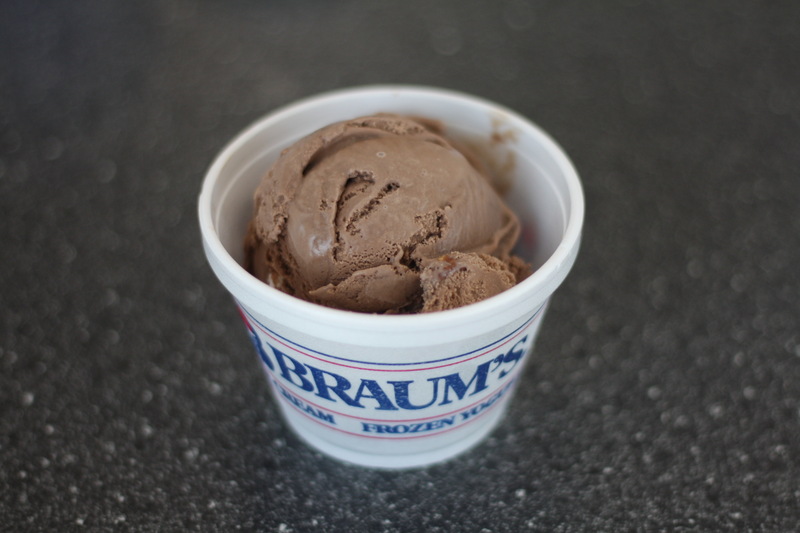 The pecan flavor was equally subdued, which made for a pretty boring scoop. 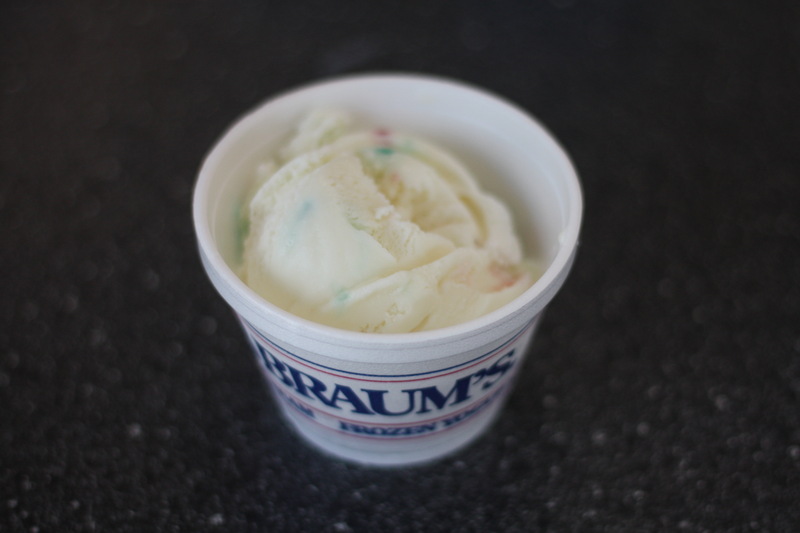 A holiday favorite, Braum’s Peppermint ice cream tasted like an after-dinner mint to me. Bui, on the other hand, felt it was reminiscent of toothpaste. The balance with the cream was nice, but I couldn’t see making it through a whole cone of this flavor without tapping out. 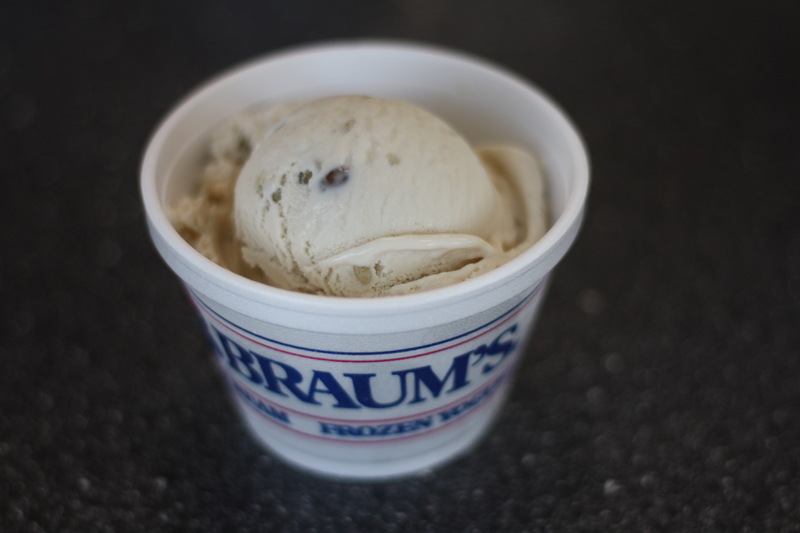 A shockingly low entry for a perennial favorite, but Braum’s Chocolate Chip ice cream just tasted like sugar. The vanilla was hard to read and the chocolate made a bigger impact texturally than it did on the palate. Seriously, the chocolate was almost entirely M.I.A., which was a big disappointment. 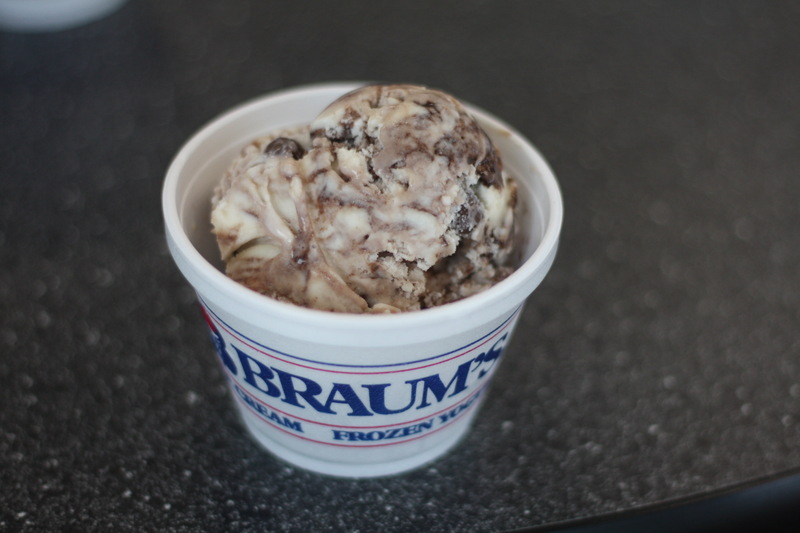 Ribbons of peanut butter and chunks of chocolate amid a scoop of vanilla sounded like a sure-fire winner, but the reality was somewhat less enjoyable. The peanut butter was too sweet, which meant the chunks of chocolate only came through on the back end of each bite. Part of me wishes they’d gone method and used real peanut butter cups rather than trying to approximate it. 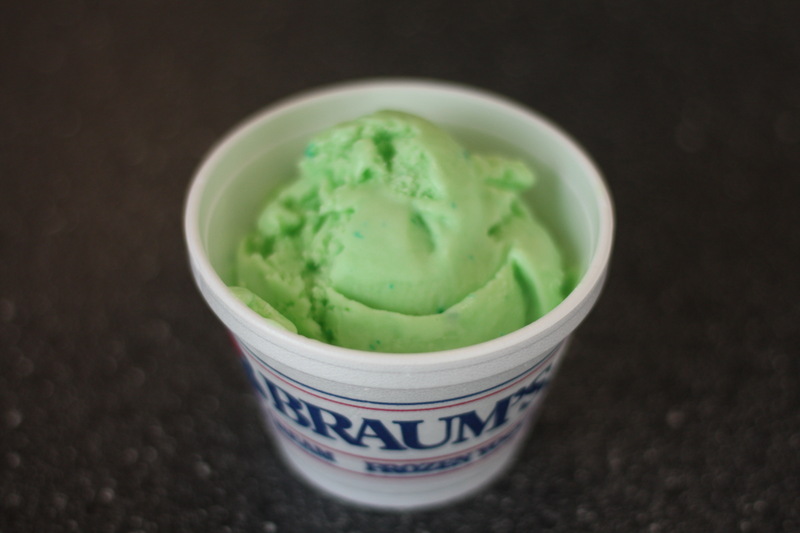 I had no idea there was a cherry limeade sherbet until today, but it was light on the cherry and bold on the lime. The tartness here was what I think of when I’m seeking out a lime sherbet, though I could see it being overpowering after a while. My preference would be to leave the cherry limeade to the fountain and focus on some other flavors. 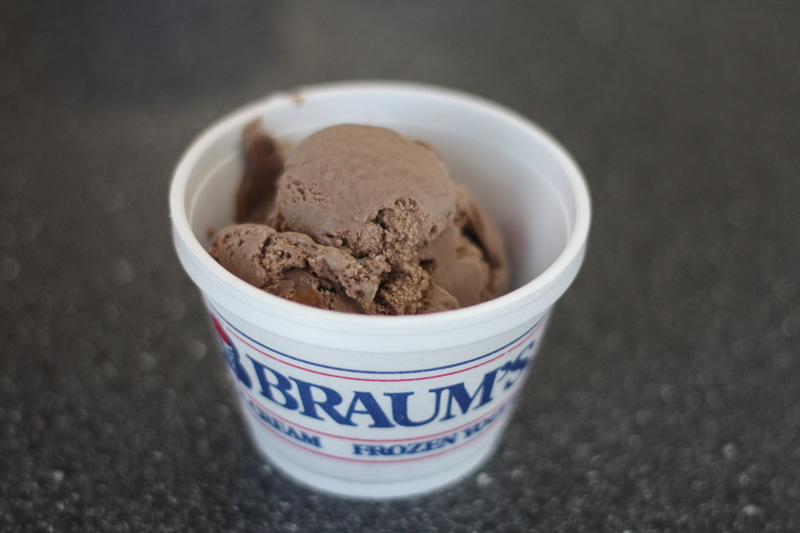 This is the ice cream to choose if you can’t choose between vanilla and chocolate. It’s both. 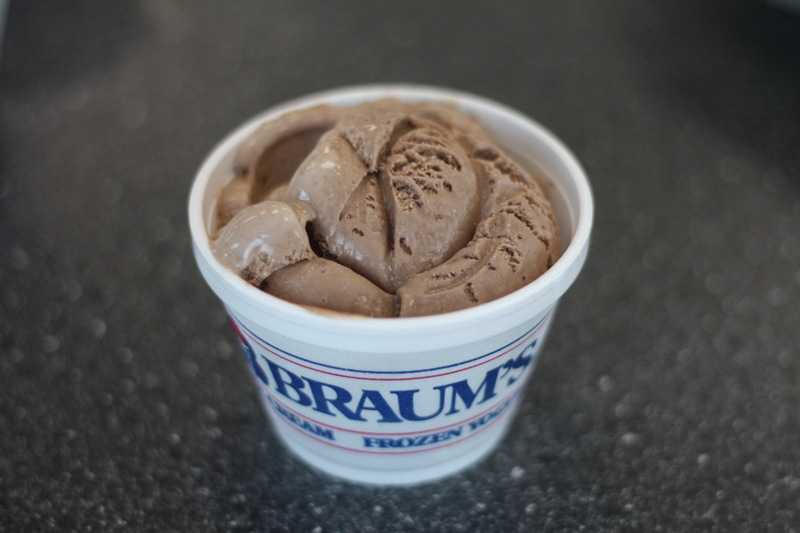 The fudge is creamy and tends to blow out the vanilla sometimes, but it’s a perfectly serviceable flavor for indecisive ice cream eaters. I’m as shocked as you are to see a sugar-free frozen yogurt make it this high in the rankings, but give it up to Braum’s for using actual vanilla to flavor it, which makes a huge difference. The vanilla overrides the weird Splenda flavor and the texture was rich and creamy. 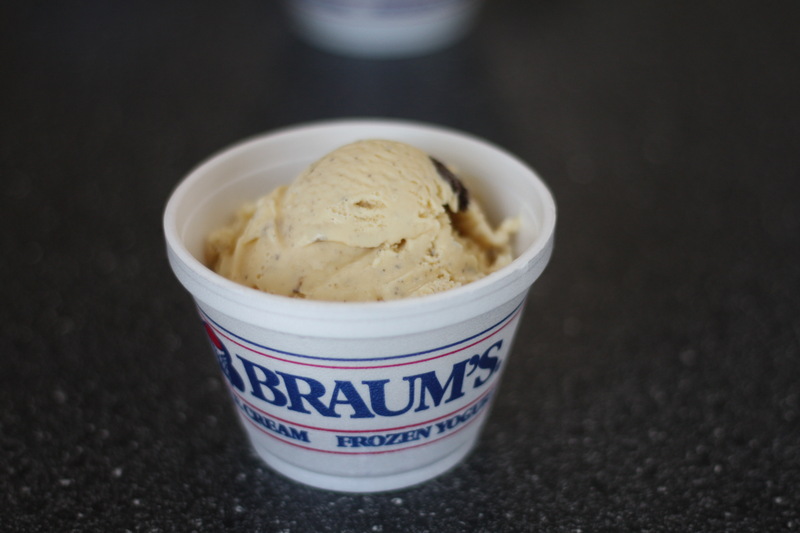 Related: If you’re getting plain old vanilla in a cone at Braum’s, this is pretty much your only choice, so it’s nice that it’s a good one. Even though this is my website and even though I have credible evidence that Michelle Bui is an enemy of freedom, I have to admit that her low ranking of Rocky Road was not entirely undeserved. Like I said at the top, “How well do you know yourself?” I thought Rocky Road was my favorite ice cream because I get it almost every time. But when I compared it against every other ice cream in the case it left me...cold. Even more bizarre is how Chocolate Almond beat Rocky Road, which is just Chocolate Almond with marshmallows. But somehow the concentration of almonds in this beat out the relatively meh impact of the marshmallows. Bui correctly gauged that a bit of almond extract could do a lot to boost this relatively one-note flavor. 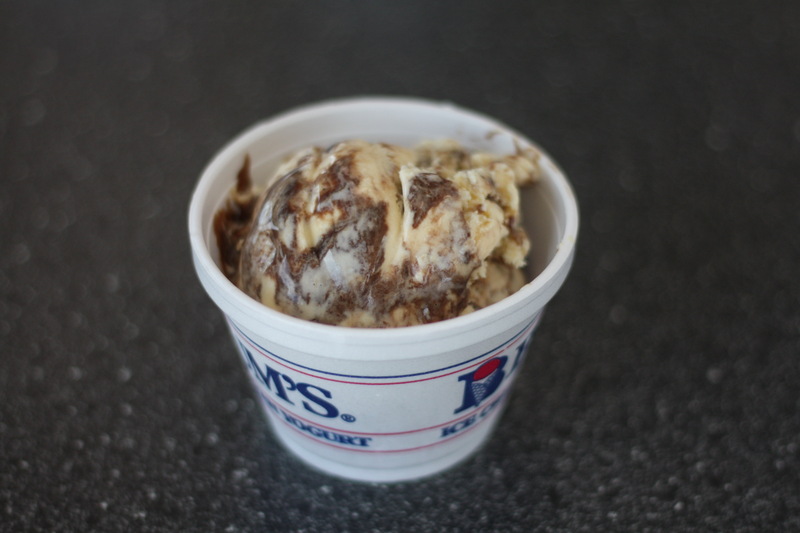 Here’s a weird revelation for you: German Chocolate is pretty great. It’s got bits of nuts and coconut in it and if those are deal-breakers for you, then the deal is off. But the texture was right on, very creamy, and the coconut really added a welcome new dimension to this otherwise tame chocolate scoop. The weirdest thing about Black Walnut is how much it tastes like black walnut. Not just the regular nut meat, either — this ice cream has that kind of green flavor that comes from eating a freshly shelled walnut...and I dig it. Could I sustain my love for this over a full cone? 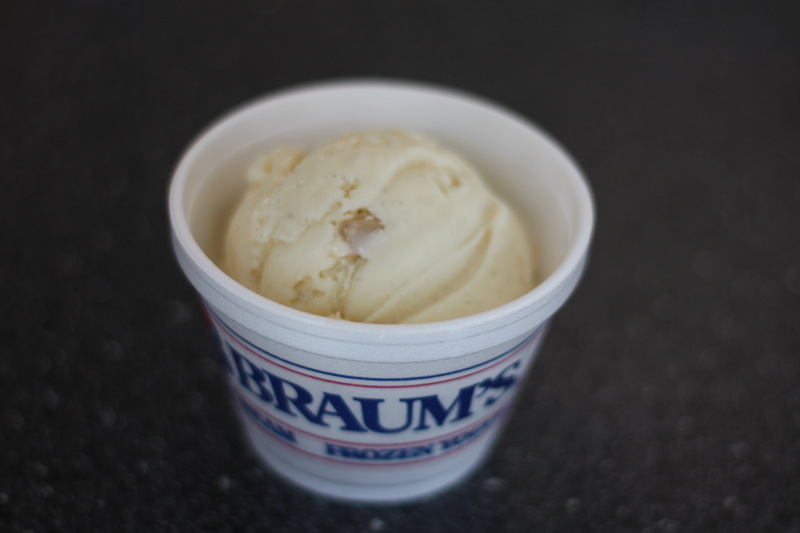 That’s less clear, but with big chunks of walnut and a truly intriguing natural flavor, this one cracked the top 10. Yes. Yes. A thousand times yes. 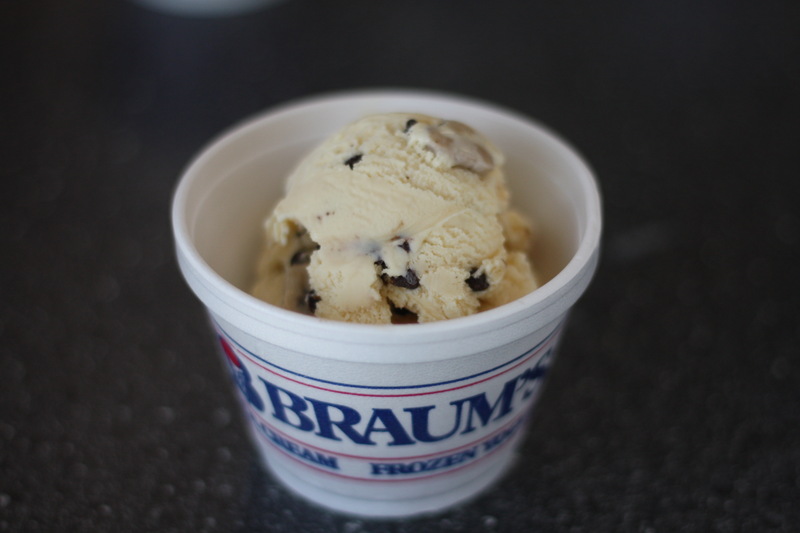 What Braum’s does well is throwing a bunch of flavors together and seeing what sticks. The buttery toffee in the Chocolate Toffee was just the boost the chocolate needed to take it above German Chocolate in the rankings. 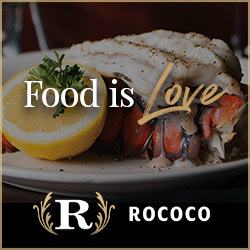 There’s also that sticky, chewy crunch, which gives it a great texture and keeps each bite interesting. I don’t like raw cookie dough. I’m sorry. I’ve tried. It’s just...why don’t we bake it and make cookies instead? But in this flavor, somehow it works. The sweet dough and the chocolate chips actually had way more chocolate flavor than Chocolate Chip ice cream, which was a surprise. It’s about balance, and this has it. How old am I? There are a lot of flavors I never considered favorites rapidly climbing this list and butter pecan was flipping all the right switches for me. Pecans are a favorite of mine, but the butter was what brought it home. It’s just the right amount of richness to keep it from getting too sweet. This might be in my next sundae. Hello, old friend. 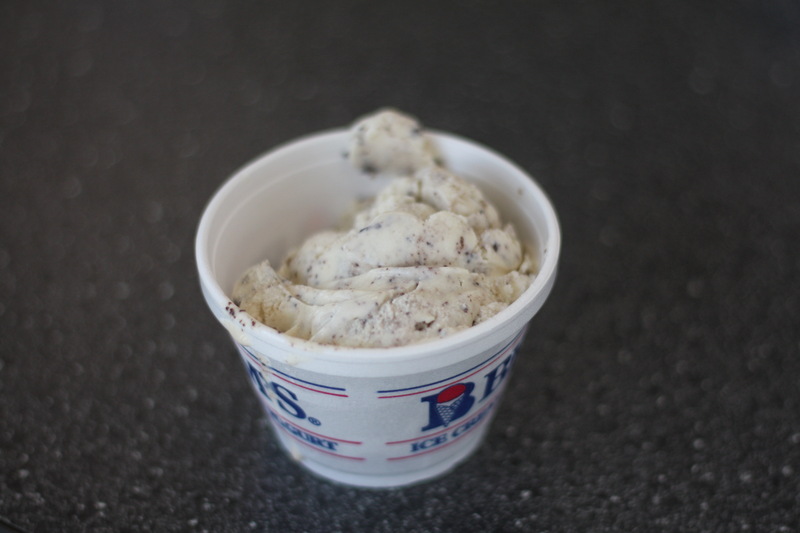 Cookies and Cream ice cream really does take me back to a simpler time, when a man could just crumble up some Oreos in ice cream and call it a flavor. Texturally, it’s a marvel. The cookie is just a little crunchy and just a little mooshy, like you’ve just dunked it in milk, which I guess you kind of have. After years of overlooking this flavor, I think I’m back on the wagon. You know what’s weird? 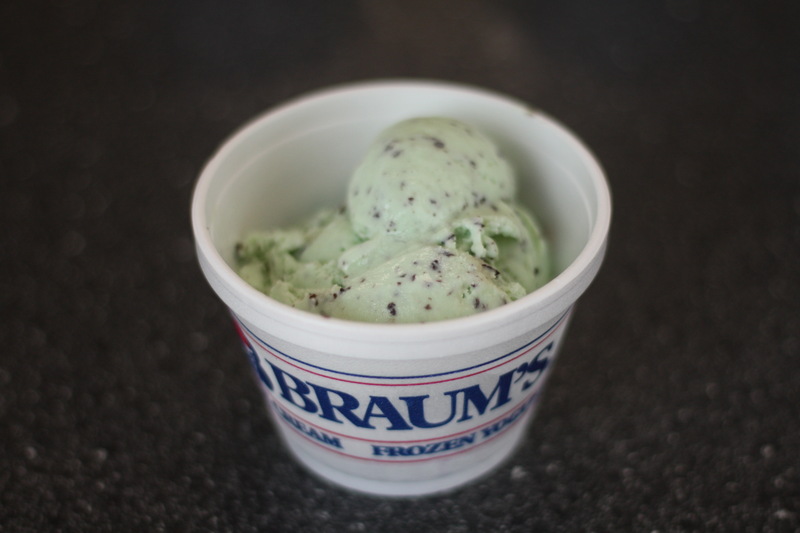 The mint in Mint Chocolate Chip was so much more aggressive than the mint in Peppermint. And somehow that’s what worked for us. 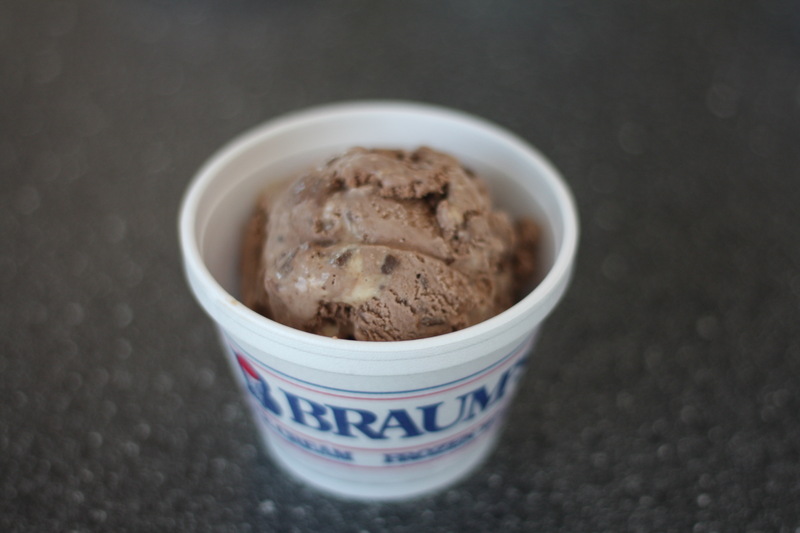 The chocolate even made a bigger impact than in the Chocolate Chip ice cream. 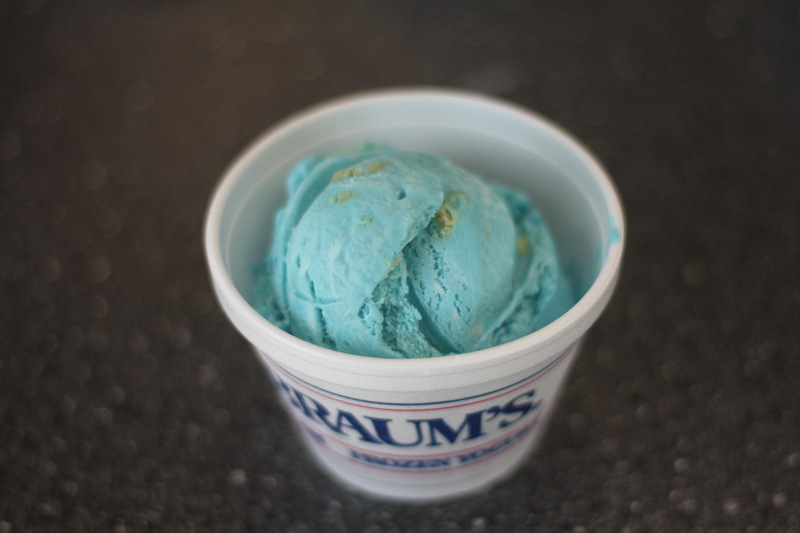 This is the flavor that proved two wrongs can make a right. What. Is. Happening? How did Orange sherbet score this coup? 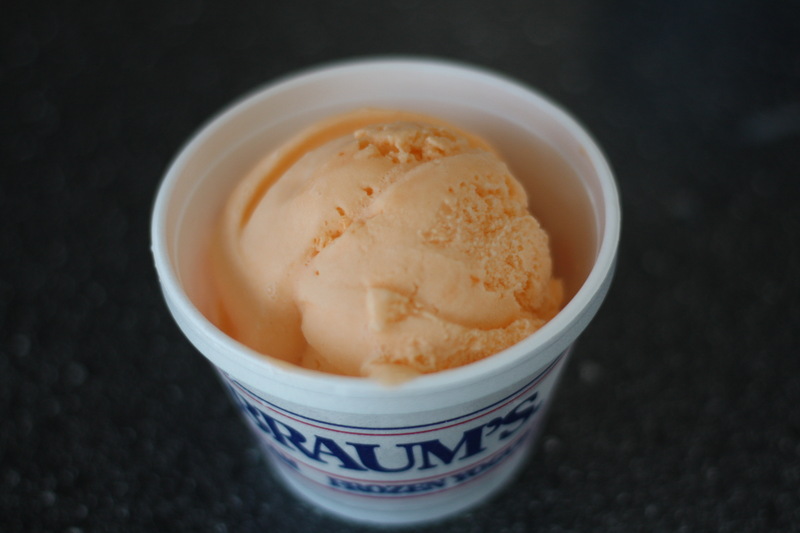 Weirdly, what worked against the Lime is what brought Orange the bronze — the creaminess of the sherbet kept the orange from being too abrasive and left it tasting more like a Dreamsicle pop. Maybe it’s nostalgia or maybe it’s Maybelline, but this was just what I wanted. I studiously avoided eating any Hershey’s Gold bars during the Olympics because I don’t much care for regular Hershey’s chocolate, much less some weird flavor they’re trying to invent. But Vanilla Hershey’s Gold tastes like...peanut butter. Or like tahini. 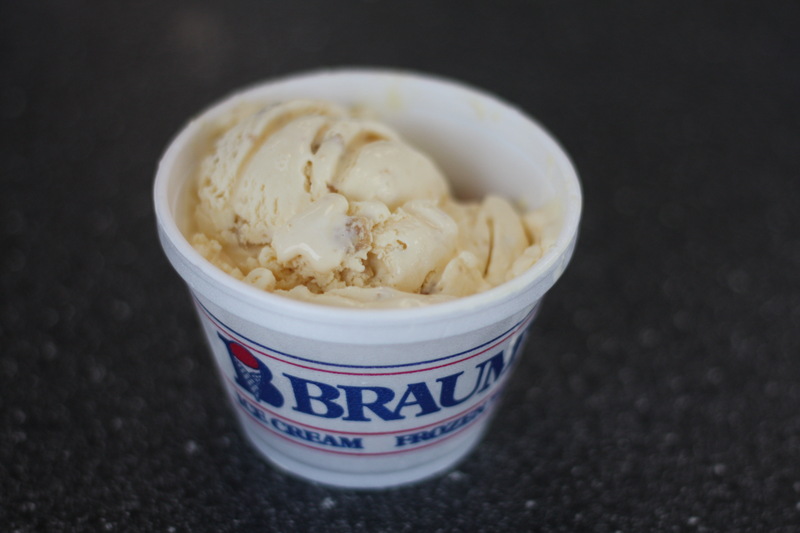 There’s a mild nuttiness that keeps you taking another bite, but without the overpowering richness often associated with peanut butter ice creams. Welcome to your retirement. 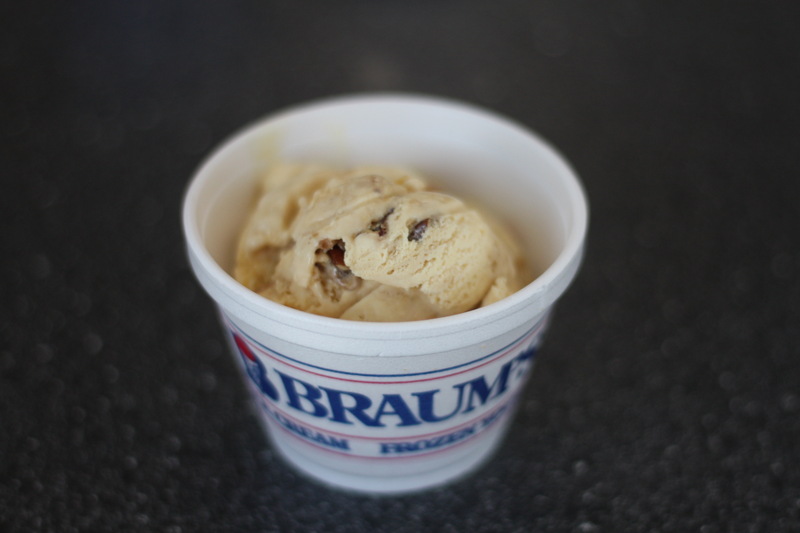 We’ve got Pecan Praline and Cream ice cream and all the naps you can take. Yeah. YEAH. This is the winner and I’m just as confused by it as you are. My contenders going in were Rocky Road, Mint Chocolate Chip and Strawberry (which they didn’t have and I was deeply confused). But Pecan Praline Cream? No. Not only was it not in the running, it wasn’t on the program. 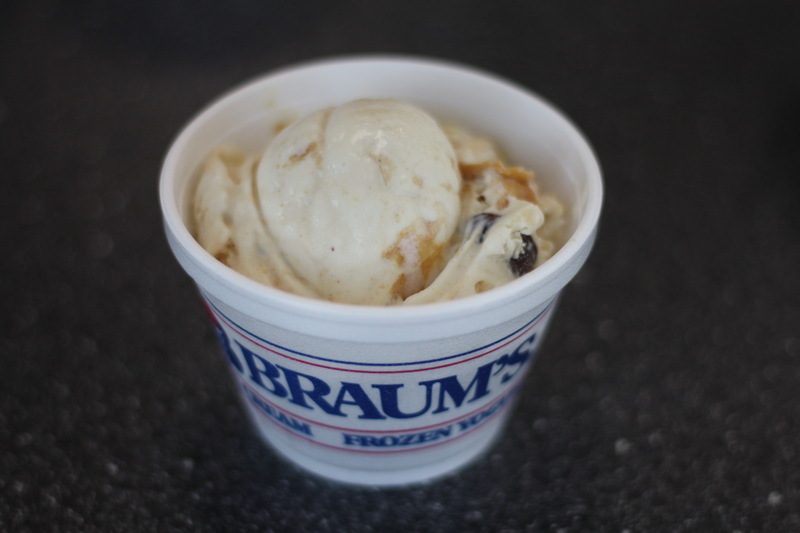 And yet, bite after bite, I was entranced by the crunch of the pecans and their sweet nuttiness, the sugary pop of the praline and the sweet cream that tied it all together. Seriously. I wrote this and I still demand a recount.